Just like those we shared with Liat in shiur mispar chamishim ve-shalosh, many of life’s most poignant moments can occur in hospitals--the beginning of life, the end of life, good news, scary news, prayers, blessings, and hopefully . . . healing. In a country now known for its fine medical care, perhaps the most famous of Israel’s hospitals is called Hadassah--a hospital with a history . . . and a story. 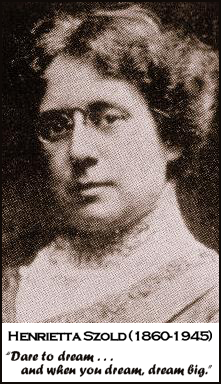 The story begins with an extraordinary American woman named Henrietta Szold. Born in Baltimore, Maryland, in 1860, Henrietta accomplished many remarkable things during her lifetime: she became the first female editor of the Jewish Publication Society; she enrolled in the Jewish Theological Seminary of America (though, in the early 1900’s, she was not permitted to become a rabbi); she organized nighttime English language and American citizenship classes for immigrants newly arrived in America. But the accomplishment for which Henrietta is best-known is the founding of the women’s volunteer organization called Hadassah. In 1930’s, planning began for a new hospital in Jerusalem to replace the Rothschild hospital founded in 1888; the cornerstone was laid in 1934; and on May 9, 1939, the Rothschild-Hadassah University Hospital, the first teaching hospital and medical center in Palestine, opened on Mount Scopus in Jerusalem. Hadassah quickly became the foremost hospital in Western Asia; however, after 1949, Mount Scopus was cut off from much of the rest of Jerusalem, and operation of the hospital became impossible. In 1961, following more than 12 years of operation in rented facilities in downtown Jerusalem, the new Hadassah Ein Karem Campus was opened in southwest Jerusalem. Today, this huge complex includes a 700-bed hospital,130 departments and clinics, and 22 buildings (and is currently in the midst of major expansion with the construction of the 19-story Sarah Wetsman Davidson Tower!) 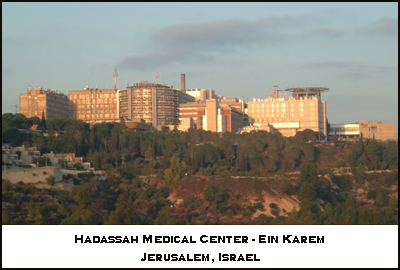 It is also home to the Hebrew University of Jerusalem schools of medicine, dentistry, nursing, public health, and pharmacology, as well as many modern research laboratories. In addition to all the regular hustle and bustle occurring at this busy site, the hospital is also something of a tourist attraction; its chapel is home to the famous Chagall Windows depicting the 12 tribes of Israel, created during the years 1960-1961 and donated to the hospital by the artist Marc Chagall. In 1975, the Mount Scopus campus was re-opened. With over 300 beds and 30 departments and clinics, the campus serves all populations in Jerusalem, including a large percentage of Arabs patients from East Jerusalem and the West Bank. Initiatives to create bridges for peace, even during periods of active conflict between Israel and one or more of its neighbors. Hadassah is a hospital (and an organization) that truly exemplifies the ideal with which it has charged itself: Medicine as a Bridge to Peace. Today at 98 years old, with 300,000 members, Hadassah is the largest Jewish organization in America, and one of the largest women’s volunteer organizations in the world. Its activities include providing ongoing support for the Hadassah Medical Organization, Youth Aliyah, support of international medical aid and relief projects around the world, and many others. 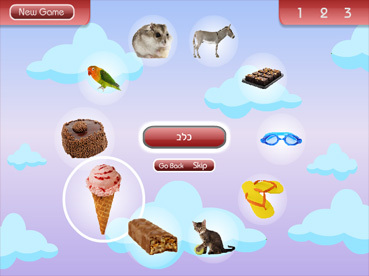 We invite you to learn more at www.hadassah.org and www.hadassah.org.il/english/.